What does it take to give meaningful performances? To begin with, we have to awaken our imaginations so that every pitch we play or sing vibrates with life. Then, we have to respond deeply to the emotional fabric of a composition, which is the subject of this post. Musical grammar differs from the linguistic variety in that it doesn’t necessarily convey specific meanings, but it nonetheless operates according to patterns that we understand emotionally. That is, any listener perceives the dread in Chopin’s funeral march and senses the contrast between those phrases and ones expressing joy. But to transmit the emotions in music, as opposed to merely listen to them, we have to make interpretive decisions and then adjust our sound and timing to communicate the feelings we want to project. Both the decision-making and the execution aspects of that process require deep practice. The following is a snapshot of the 7 Essentials of Artistic Interpretation presented on pages 23-34 of The Musician’s Way. These essentials are meant as benchmarks for you to use to develop your interpretive abilities and create your own heartfelt interpretations. You can also expand your interpretive vocabulary by listening to recordings of other artists and noting how they employ these essentials. Like an actor reading an unfamiliar script, acquaint yourself with the scope of a new piece before you practice individual phrases. 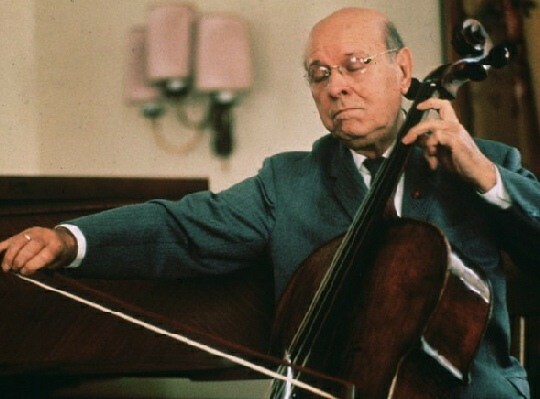 You might research a composition’s background, sight-read through it, and peruse recordings. As a basic interpretative approach, increase and decrease your volume in keeping with fluctuations in melodic, harmonic and dramatic intensity. Use tonal variations ranging from bright to dark as well as vibrato, if your instrument allows, to enhance the moods you convey. Create a seamless legato, mix in slurs and staccatos, and punctuate phrase-breaks with silence. Start with steady configurations of stronger and weaker beats, and then fine-tune your emphasis according to the melodic and harmonic content. For example, when long notes in a melody fall on offbeats, they usually call for some degree of accent; when phrases repose on downbeats, those downbeats typically need softening, even though initial beats ordinarily are stressed. Move from weak beats to strong ones and from short notes to long so that your music pulsates with forward motion. 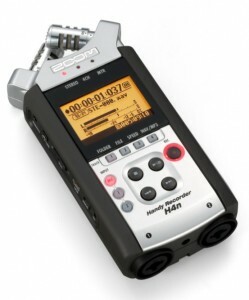 Use a self-recorder to help you assess your timing and execution – the Zoom H4n is a favorite tool among performers. Bring out the high points of compositions and pull back at subdued moments, saving your boldest gestures for climactic peaks. In that way, you craft each phrase in proportion to a composition’s overall design, enchanting your listeners in the process. 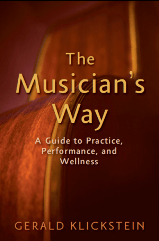 All of these concepts are fleshed out in The Musician’s Way and illustrated with numerous music examples. Excellent point, Vili – thanks! I too enjoy the coloristic aspects of finely shaded intonation. Thanks, this is great post. Something that I have noticed in my experiences as a performer is that once I had my intonation right then a lot of other musical characteristics like tone and colour of the sound simply fall into place and sometimes vice-verse. I’m a brass player so it obviously might be a bit different for other instruments. (piano for example wouldn’t worry about intonation) Just something I’ve noticed. Hi Grace – thanks for stopping by! I’m in complete agreement: listening to diverse interpretations of the same pieces can introduce us to fresh ideas, boost our motivation, and expand our interpretive vocabulary, especially when we listen in provisional ways that prevent unconscious mimicking. These are definitely the essentials of interpretation! It’s best to listen to at least two or three recordings of the piece of choice for the pianist to hear the differences in each performer’s technique and interpretation. Thanks for sharing! Thanks, Alexandria – that’s very gratifying to hear! I just wanted to let you know how much your website is helping me so much as a musician. Your articles are extremely well-written and very valuable. I hope you continue to write lots more. Great work.